Beaumont Health plans to sell as much as 90% of its seven-county home health and hospice business and has created a joint venture called Beaumont Home Health and Hospice LLC with Ohio-based Alternate Solutions Health Network, Crain's has learned. Under the terms of the joint venture agreement, the transaction would be completed Jan. 1 when those Beaumont employees making the change would become Alternate Solution employees, according to five sources familiar with the deal who asked not to be identified. Beaumont Home Health employs about 1,000 full-time equivalents and serves about 12,000 patients in Southeast Michigan. The joint venture with Alternate Solutions, however, wouldn't include Beaumont's durable medical equipment, home infusion and personal assistant services, three sources said. Officials for Beaumont declined interview requests, but provided a statement to Crain's. Alternate Solutions executives did not respond to requests for comment. "Beaumont Health is exploring a joint venture opportunity to provide additional home health and hospice services in Southeast Michigan," said a statement from Beaumont. "Partnering with a specialized provider that has home health and hospice expertise would improve our ability to serve current and future patients. A partnership would also allow us to present new career development opportunities for our home health and hospice team members." Four of the sources, who are Beaumont employees, told Crain's that home health and hospice staff were told of the joint venture and company transfer during meetings in late November and this month as Beaumont employees begin to sign job offers and transition to the new company. The sources said Alternate Solutions executives explained that Beaumont was making the change because the eight-hospital system has had "difficulties with reimbursement." Over the past decade, Medicare has cut home health and hospice payment rates several times. Since 2014, Medicare, which is home health industry's largest payer, has reduced home health payments by more than $520 million. For fiscal 2019, the Trump administration has proposed to further cut home health payments, converting to an unspecified bundled post-acute care payment model and spending more on fraud investigations of home health companies. Medicare now pays for up to 60 days of home health services if a physician certifies the patient needs the services and submits a plan of care. A patient can get another 60 days if the physician believes it is necessary. The average payment is $2,961.38 per 60-day period, but margins have been razor-thin in recent years. In May, Beaumont Health's Dr. Paul LaCasse, executive vice president of post-acute care and diversified business operations, told Crain's that Beaumont had never considered selling or contracting out its home health and hospice business. LaCasse said that was a core business critical to helping the health system manage patients after they are discharged from hospitals, and said the home health business was growing at a 5% annual clip. In 2017, Beaumont Health consolidated its home health, hospice, home infusion, durable medical equipment and private-duty nurse services into Beaumont Home Health. The companies were previously part of Beaumont Health System, Oakwood Healthcare and Botsford Hospital, legacy organizations that merged in 2014 to form Beaumont Health. "We believe home health is an essential piece of what we do," LaCasse told Crain's. "As we think about the future, volume-based care to value-based care, we want to increase the amount of care we do at home." Employees told Crain's that Beaumont never gave staff any reason to believe a sale or joint venture was coming, although managers knew for months. However, one early sign happened last year when Beaumont brought back in house some formerly contracted out home health and hospice staff as employees. It is unclear what changed Beaumont's strategy, sources said. Beaumont Home Health was profitable, but under budget this year as referrals were down because referring physicians at system hospitals were sending more patients to other home health agencies, two sources said. Barry Cargill, executive director of the Michigan Association of HomeCare and Hospice, said there have been many mergers and acquisitions among home health and hospice companies the past several years. He said Medicare reimbursement cuts and rising costs are forcing companies to improve efficiencies, reduce workforce costs and develop size for economies of scale. "The future of home care is pretty good (with aging baby boomers). There is a strong market now and through 2025, but (companies) need to (manage) efficiently," Cargill said. "Medicare is a big payer. With reimbursements being cut, it has resulted in agencies finding a need for efficiencies. One way is to grow larger." Cargill said he has heard talk that Beaumont Health has been considering leaving the business because it lacks the size and expertise to manage in a consolidating and highly competitive industry. If so, it would be the first major health system in Michigan to do so, he said. "I am not aware of other hospitals or health systems (in Michigan) that have sold their home health business. Large hospital systems are making decisions whether to partner with outside vendors instead of (managing within) their own system," he said. Other healthcare systems in Michigan that operate their own home health and hospice subsidiaries or companies are Henry Ford Health System, Ascension Michigan, Spectrum Health, McLaren Healthcare and Trinity Health. Ascension recently announced expansion of its post-acute care services, and other health systems have worked to improve management services and linkages between inpatient discharges, home health, hospice and rehabilitation services. One Beaumont source said only nine of 110 Beaumont office staff will be retained by Alternate Solutions, including some supervisors and schedulers. Three sources said more than 100 of Beaumont's home health and hospice intake staff, quality assurance staff, medical records, office support and at least four education specialists would be laid off. "We were told at the meeting they would not be needed with the new company because they have those people already" at Alternate Solutions' corporate office in Kettering, one nurse source said. More than 20 nurses have resigned in the past two weeks, two sources said. Many other senior nurses and other clinical workers with seniority will likely resign as they find new jobs, they said. "For younger nurses, it is a pay raise for them," one source said. "Alternate is hiring a lot more assistants." Two sources also told Crain's that Beaumont plans to notify patients soon that Beaumont home care and hospice will continue as an entity but will be managed by another company. The sources said the transaction allows Alternate Solutions to use the Beaumont brand name, but everything else will be different. It is also unlikely Alternate Solutions will seek Joint Commission accreditation as Beaumont Home Care has now because of costs and strict regulations, three sources said. Crain's also spoke with a Beaumont home health patient who said she was told by her caregiver of the coming changes but had not received any official notification from Beaumont. She said she was worried inexperienced staff would replace her regular nurses and aides. If the deal becomes final as described to them, three sources told Crain's that home health nurses, physical and occupational therapists, social workers and other caregivers could have their pay cut 20% to as much as 40% compared with Beaumont's current salary scale. One source said the pay cuts could amount to $8,000 to $10,000 per year. Health insurance benefits, vacation time and quarterly bonuses also would be reduced. For example, Beaumont employees can accrue up to six weeks of paid vacation a year, but the home care nurses have had vacation time scaled back, holiday days down to two from six and quarterly bonuses eliminated, sources said. However, some employees with more than four years with the company could have up to four weeks of vacation pay, depending on seniority. In a document handed to Beaumont nurses and others at the meeting in Southfield last month and obtained by Crain's, Alternate Solutions executives explained to nurses and other caregivers they would be paid on a productivity scale based on points. Productivity incentives linked to salaries have become common in the home health industry. For example, minimum productivity for nurses would start at 24 points per week, six points per day and four designated days per week. Start of care for a day visit for a home health nurse would be worth two points and $100. Recertification or resumption of care would be worth 1.5 points or $75. For an occupational therapist, recertification would be worth 1.5 points or $82.50 and follow-up occupational therapy visits and discharges would be $55 each. However, two Beaumont sources said Alternate's plan is for follow-up visits on patients to be conducted by physical or occupational therapist assistants or licensed practical nurses, who would be paid $35 per visit. If an assistant is unavailable, however, a registered nurse or physical therapist would be required to conduct the visit but be paid at the lower assistant rates. A knowledgeable home health executive, who asked to remain anonymous, said most home health agencies pay based on point scales or visits. He said it also is common for some home health visits to be made by assistants, depending on the need. However, he said it is "draconian" to pay highly skilled registered nurses or physical therapists, some of whom have doctoral degrees, the rate of assistants for follow-up visits. Because none of the Beaumont hospice nurses signed up for the joint venture, three sources said, Beaumont and Alternate granted hospice nurses various benefit and pay concessions. They included giving hospice nurses four weeks of vacation to start, additional holidays and nearly their same Beaumont equivalent wages. Two Beaumont home health nurses told Crain's that the health system's nurse council met with Beaumont executives last week to discuss pay and benefits for the home health staff. The council asked for the same pay and vacation arrangement for home health nurses that hospice nurses were granted in talks the previous week. At Friday deadline, two sources said Beaumont and Alternate still were considering other concessions for the home health staff. However, Beaumont executives told some nurses they could reapply for Beaumont jobs and keep their accrued benefits if they accepted a job transfer to another position before the end of 2019. Cargill said several home health companies in Michigan have developed a variety of formal and informal partnerships with hospitals to improve patients' post-acute care experience and reduce inpatient readmissions. All home health agencies work closely with hospitals to ensure good communication on post-acute care transfers and care delivery, he said. Some companies such as Residential Home Health and Great Lakes Caring Home Health and Hospice have contracted with hospital systems to manage their home health or hospice services. For example, Crain's has reported that Residential is working with Mary Free Bed hospital in Grand Rapids. Residential also has joint ventures in Illinois with Edward Hospital in Naperville, Elmhurst Memorial Healthcare and DuPage Medical Group in Downers Grove, and Allegheny Health Network in Pittsburgh. In the previous interview, LaCasse said: "Part of the strategy is to keep the patient in the network. We can oversee quality and safety (better) in the home health division. We work with doctors to try and reduce readmissions. It all makes sense to increase services within the network." It is unclear how closely Beaumont will work with Alternate Solutions. However, two Beaumont nurses said that Alternate executives have told them they will have discharge employees working at Beaumont hospitals to help guide or recommend inpatient discharges to the joint venture company. Another factor for Beaumont and other hospitals to consider when changing post-acute care services is financial losses they can incur because of Medicare's readmission penalties. Last year, Medicare's readmission rule reached its maximum penalty and deducts a full 3% from Medicare payments for those hospitals that fully fail to meet their readmission targets. As a result, most hospitals lose money when they need to readmit certain patients within 30 days of discharge. 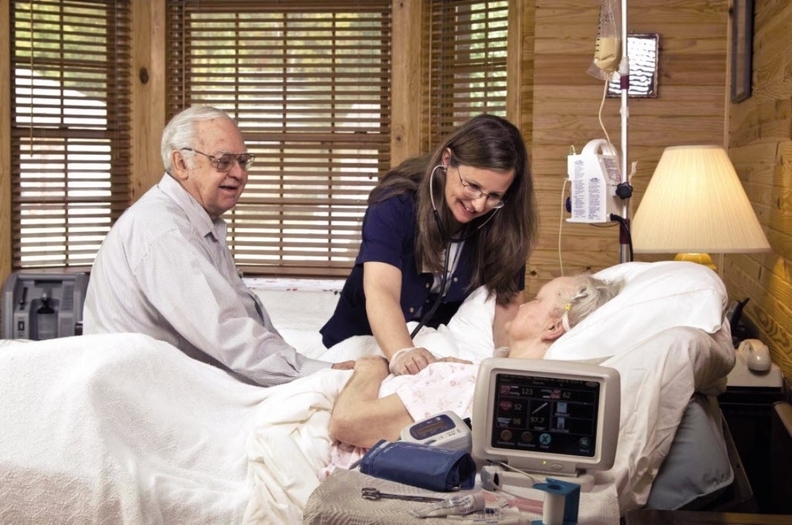 Health systems typically operate home health companies to help manage post-acute care and reduce readmissions. Despite significantly reducing readmissions, Beaumont Hospital in Royal Oak lost $2.4 million in Medicare reimbursement in 2018 with a 17.6% readmission rate, slightly above the national average of 15.3%. While those rates are lower than in previous years, Beaumont still lost money based on the formula Medicare uses. "Beaumont to outsource home health, hospice business in joint venture deal" originally appeared in Crain's Detroit Business.